Recognize any of these situations? If the answer is yes, it might be time to take control of your organization’s room resources! Meetio offers a conference room scheduling software that is very easy to use and understand. 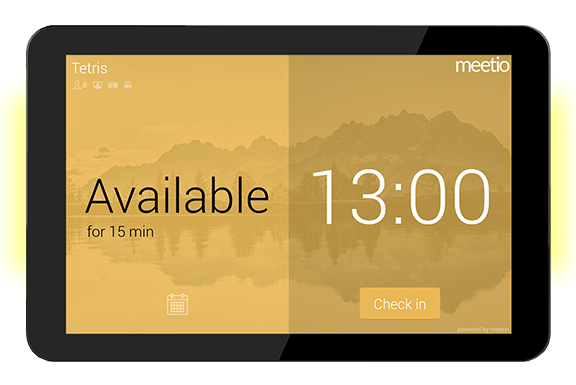 With Meetio Room there will never be any questions whether a room is available or not. Just tap two times on the screen and the room is yours. Meetio Room supports Office 365, Exchange and G Suite. 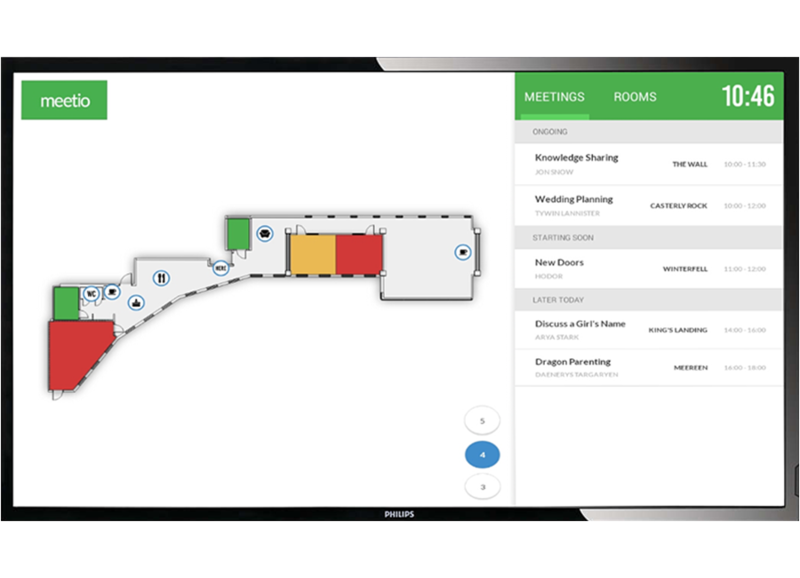 Meetio View gives an instant overview of available or occupied conference rooms – alternate between a map view, grid view or agenda view. Your visitors can easily see where to go for their meeting and when the meeting starts. Choose between showing only occupied or available rooms or mix them altogether. 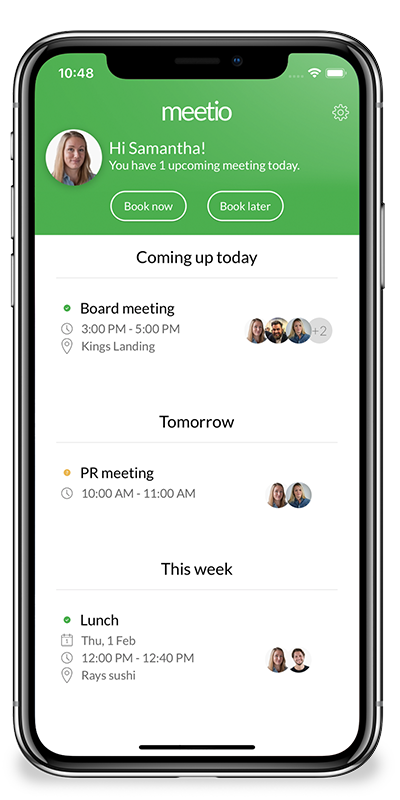 Meetio App lets you schedule meetings and meeting rooms on the go. 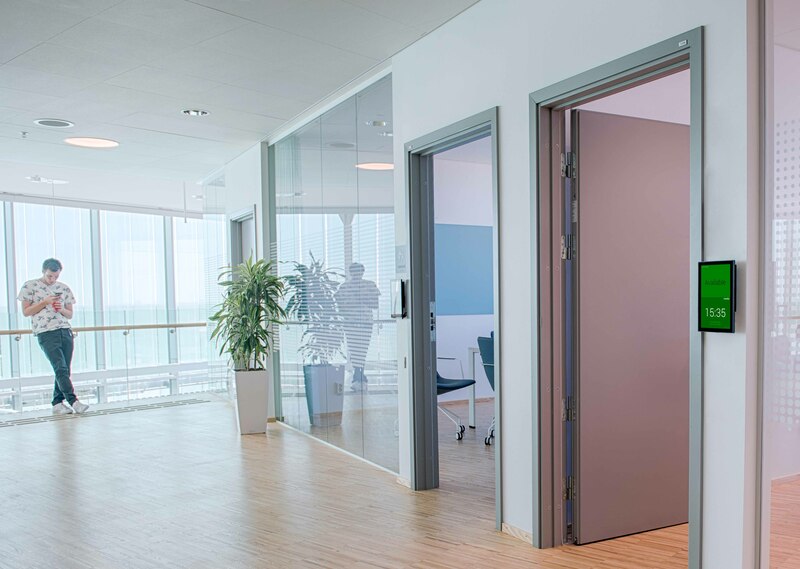 Stop searching the office for available meeting rooms. A complete overview is just one click away! Curious of the Meetio solutions? We’re more than happy to help you straight out those question marks!